Builders Club: is a student-led community service organization that operates under school regulations and draws its members from the student body. Members learn to work together and develop servant-leaders skills as they serve their school and community. Boy Scouts: Boy Scouts is designed to build character, physical fitness, practical skills, and service. Members 12 core values throughout all elements of the program—service projects, ceremonies, games, skits, songs, crafts, and all the other activities enjoyed in sessions. Girls Scouts: builds girls of courage, confidence and character, who make the world a better place. Youth of the Year: Youth of the Year is BGCA’s premier youth recognition program for Club members. All members can benefit from participation in this program, which promotes and celebrates service to Club, community and family; academic performance; moral character; life goals; and poise and public speaking ability. The Youth of the Year program is most effective when used as a year-round tool for fostering young people’s character, personal growth and leadership qualities. Local Clubs recognize members ages 14-18 who were Youths of the Month and select a Youth of the Year, who then participates in state competition. State winners, who each receive $1,000 scholarships, participate in regional competitions. Five regional winners each receive an engraved plaque and a $10,000 scholarship and compete on the national level. The National Youth of the Year receives an additional $50,000 scholarship and is installed by the President of the United States. SMART Moves: The SMART Moves (Skills Mastery and Resistance Training) prevention/education program addresses problems such as drug and alcohol use and premature sexual activity. SMART Girls: An outgrowth of the popular and effective SMART Moves program, SMART Girls is a health, fitness, prevention/education and self-esteem enhancement program for girls ages 8 to 17. Passport to Manhood: promotes and teaches responsibility in Club boys ages 11-14. Passport to Manhood consists of 14 sessions, each of which concentrates on a specific aspect of manhood through highly interactive activities. Each Club participant receives his own “passport” to underscore the notion that he is on a personal journey of maturation and growth. Passport to Manhood represents a targeted effort to engage young boys in discussions activities that reinforce positive behavior. CareNet: is a faith-based education/prevention program that focuses on healthy relationships, self-esteem, and decision-making for both girls and boys ages 8-12. Big Decisions: an abstinence-plus sexuality education program for youth ages 12-18. Triple Play: Triple Play, BGCA’s first comprehensive health and wellness program, developed in collaboration with the U.S. Department of Health and Human Services, strives to improve the overall health of Club members ages 6-18 by increasing their daily physical activity, teaching them good nutrition and helping them develop healthy relationships. Wanna Play? : encourages youth ages 6 to 12 to increase their overall fitness and health through physical activity and nutrition education, while learning the fundamental skills of baseball and softball. Wanna Play? increases members’ physical fitness by focusing on agility, balance and coordination. 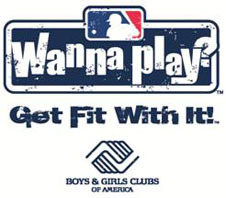 This program features a variety of fun and engaging activities and games to help Club members improve their fitness; increase awareness of good nutrition and hydration; and learn basic baseball and softball skills and knowledge. Power Hour: Club staff use all the areas and programs in the Club to create opportunities for these high-yield learning activities, which include leisure reading, writing activities, discussions with knowledgeable adults, helping others, homework help, tutoring and games (such as Scrabble), that develop young people’s cognitive skills. Project Learn also emphasizes parent involvement and collaboration between Club and school professionals as critical factors in creating the best after-school learning environment for Club members ages 6 to 18. Project Learn: Project Learn reinforces the academic enrichment and school engagement of young people during the time they spend at the Club. Club staff use all the areas and programs in the Club to create opportunities for these high-yield learning activities, which include leisure reading, writing activities, discussions with knowledgeable adults, helping others, homework help, tutoring and games (such as Scrabble), that develop young people’s cognitive skills. Project Learn also emphasizes parent involvement and collaboration between Club and school professionals as critical factors in creating the best after-school learning environment for Club members ages 6 to 18. Club Tech: Club Tech is an ambitious, multi-year initiative that provides all Boys & Girls Clubs with state-of-the-art software; a comprehensive array of programs to help Club professionals build members’ computer skills and integrate technology in all Core Program Areas; and extensive, ongoing training for Club professionals. Club Tech helps Clubs incorporate technology in every aspect of their operation. Learning Through Sports: Kid's College Learning through Sports is an online education program combining the latest adaptive and prescriptive technology with curriculum written specifically to state core standards and the new Common Core State Standards (CCSS), in order to deliver the most effective and targeted Math, Literacy and Science skills instruction and remediation. Ace-it: Ace It! Tutoring offers in-person, small class instruction to meet individual needs. The program starts with an assessment to identify each student’s specific learning needs. Results are used to create a learning plan to guide each student’s reading or math instruction. 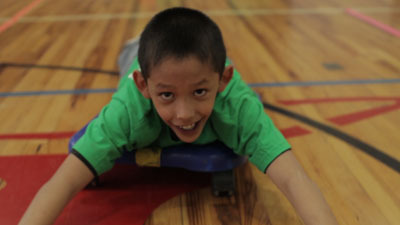 Students are placed in small classes based on their learning needs and ability levels. Teens in Action: provides interactive courses and short-term programs in areas such as self-reliance, peer pressure, healthy living, financial literacy, civic engagement, and job training. This program incorporates Career Launch and Money Matters curriculum to assists tweens and teens in planning for their futures. Junior Staff: CultivatingTomorrow's Club Professionals Today: This is an easy-to-use program for Club teens ages 13 to 18. This program will provide your Club staff and volunteers with tools to guide young people in preparing for a career in Boys & Girls Clubs and/or other service professions. Through participation in Junior Staff, teens will develop interpersonal skills, a strong work ethic and a sense of community engagement while experiencing on-the-job Club work. National Photography Program: This year-round program encourages Club members ages 6-18 to learn and practice a variety of photography skills such as framing, storytelling through photographs and using alternative processes.